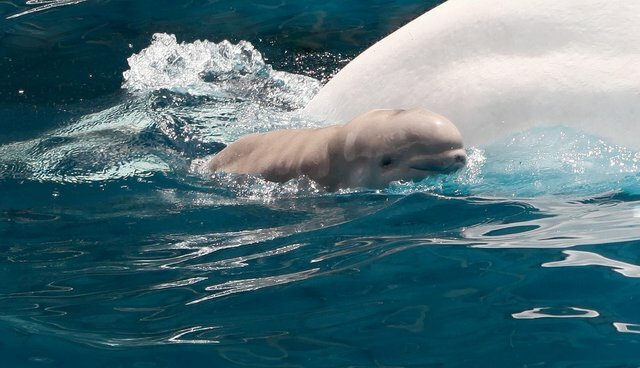 A beluga calf born in captivity at SeaWorld San Antonio died Monday. The baby was only three weeks old. All of us at SeaWorld are saddened by the loss of our beluga calf, who died yesterday after weeks of intensive, round the clock care. The three-week old calf was born about a month premature. The calf was not gaining weight at the rate our veterinarians expected, even though it did nurse from its mother. To supplement those feedings, the animal care team hand fed her specialized marine mammal infant formula seven times a day. A necropsy will be performed this morning, with results expected in six to eight weeks. Losing an animal in our care is never easy, and we thank everyone for their thoughts and support during this difficult time for our team. But the numbers suggest that the death of a beluga whale in captivity is not much of a surprise. 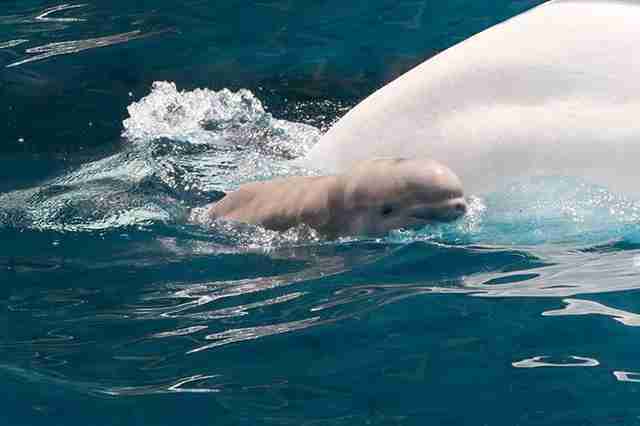 The mortality rate among baby belugas in captivity is 65 percent. And belugas who survive captivity long enough to become adults still don't live long, often dying before reaching 30, unlike their wild counterparts who can live to age 60, though we don't know their average life expectancy. 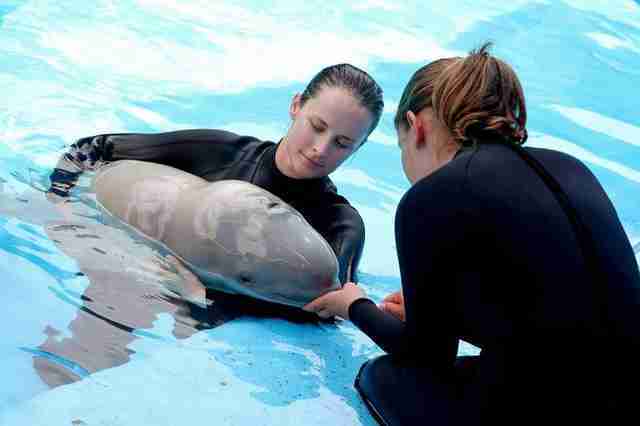 "Whenever a captive-born cetacean calf dies, I suspect the effects of captivity - especially maternal competence - are a factor," Naomi Rose, Ph.D., a marine mammal scientist at the Animal Welfare Institute, told The Dodo. "Given that the facilities have corporate reasons for insisting captivity has nothing to do with these deaths and refuse to conduct the necessary, objective science to truly understand mortality risk for captive-born calves, I am left to speculate that yes, captivity had something to do with this calf's death." SeaWorld did not immediately respond to The Dodo's request for comment on the baby's death, which will be the subject of a necropsy, with results available in six to eight weeks.